Novice to Number 4 in 2 Years! 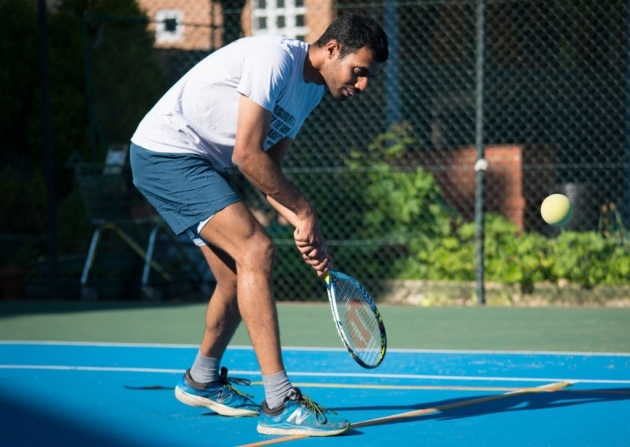 A blind tennis player has made amazing progress from beginner to one of the best in the world – in the space of two years. 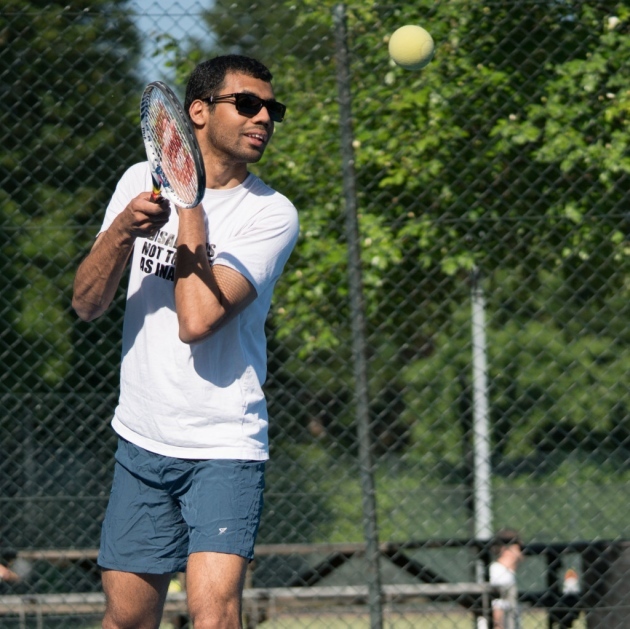 VI tennis player Naqi Rizvi at Globe Tennis Club in Belsize Park. 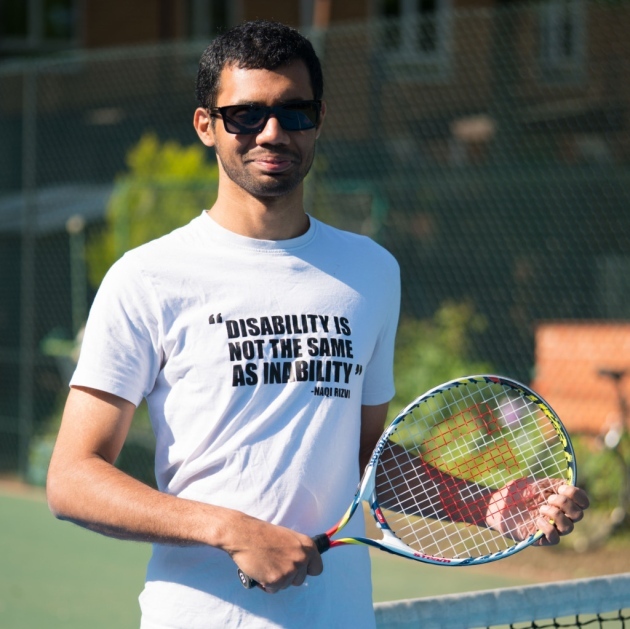 Naqi Rizvi, 27, of Belsize Park Road, reached the semi-finals of the International Blind Tennis Association tournament in Dublin last month. He only started playing VI (visually impaired) tennis in January 2016. Naqi trains at Globe Tennis Club, in Haverstock Hill. It’s here where he has been able to progress since joining in November last year. He explains: “I did VI sessions at Islington Tennis Club but that was only once a month. The club now puts on fortnightly VI sessions, and Naqi is able to practise at least once a week. Naqi is classified as a “B1” player, being completely blind. In B1 tennis, the court is much smaller: 12.8 metres by 6.1m compared to the standard size of 23.8m by 8.2m. Players are allowed up to three bounces and the ball makes a sound. The net is also lower, and players have to ask their opponents if they are “ready” before a serve is made. With experienced players, rallies of over six shots are possible – something which Naqi achieves regularly in sessions at Globe. The club sponsored his tournament trip to Dublin, where he lost to the world’s number one in the semis. VI tennis player Naqi Rizvi at Globe Tennis Club in Belsize Park. Picture Siorna AshbyNaqi recalls: “My attitude in Dublin was to relax and enjoy. And the last two matches were the best I played.